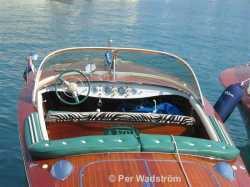 Say RIVA and most people, with any interest in boats, associate the name with the most famous models Ariston and Aquarama. 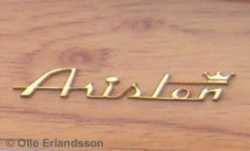 Ariston was the first of Carlo Riva boats that had a name. Earlier the different models was named with their drawing designation, and so did the Ariston. During the first three years of production it was therefore called Riva BM. Already in this first years Carlo had created a boat with its characteristic and fully perfected form that came to give Cantieri Riva its unique reputation in the boating world. ARISTON – The best of the best! 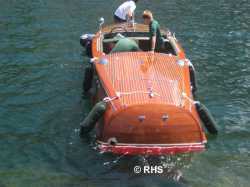 A few boats are built (17 in total), and the boat has not yet been named and is simply known as Riva BM. 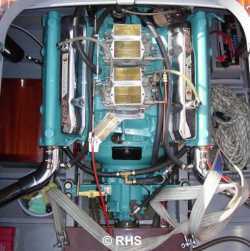 Engine choice varies and during the first two years boats are built with both single and twin engines with power output between 105 and 230 Hp. 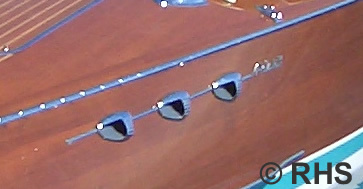 The first boats have a flat split windscreen mounted in three chromed holders. 1952 it's updated to a single piece windscreen but still with a simple holder without a surrounding rim. Yet no hood or cab have seen the light. The Florida had already a name, and after an evening with Gino Gervasoni at the cinema Ariston in Milano, he decides to name the BM "Ariston", wich means "the best". He also decides to use the Chris Craft MBL engine made by Chris Craft, a company he has admired for a long time because of their rational series production of boats. This six cyl. 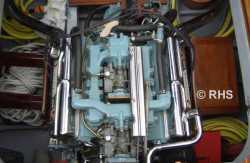 side valve engine, with an output of 158 hp, now became the only choice for the Ariston model. The hull frames are updated to the same specification as the Super Florida with a C-C of 22cm, as well as a number of other technical modifications. 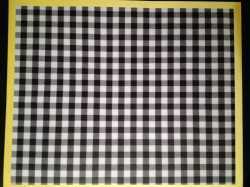 The upholstery is changed to black and white checker pattern with a pale yellow Vipla decor. 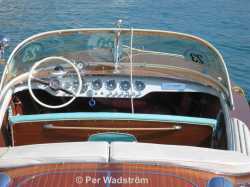 A total of 26 Ariston are built (#51-#76) and the boat measures 6,25 x 2,15 m.
The hull is extended by 20 cm to 6.45 m and a special version, Ariston Cadillac, is introduced. With this model Riva offers a boat with even greater performance, thanks to the modern overhead valve V8 engine from Cadillac at 250 Hp. Today, this model has a very high value since only 19 were built in the years of 1956-1958. 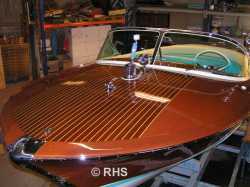 The production increase and a total of 34 boats are built including six of the Cadillac version. Still the Ariston have the one piece flat windscreen, even though the Tritone model got its curved panorama windscreen two years before. This is going to change with the start of the 1957 Ariston. The windscreen is made like the Tritone's but only with two glass parts instead of four because of the smaller dimensions. It has the same sweeping "panoramic" shape with an upper frame that makes it possible to fold up and lock a hood or cab with a few simple moves. The resemblance to American cars of the time can not be mistaken. 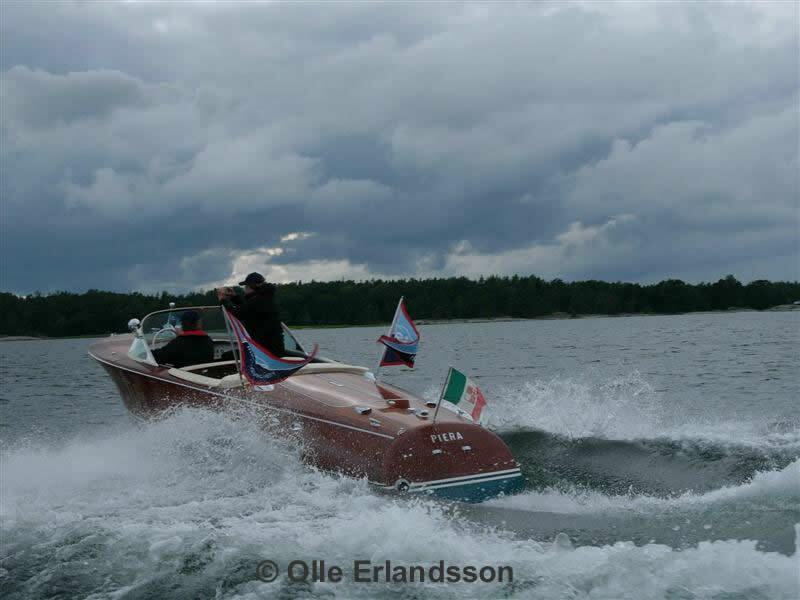 With the new modern cab-hood the Riva Ariston can be used in all weathers. More news is introduced during the year. From #122 the deck is built of a multilayer plywood. 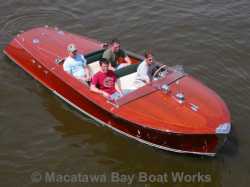 Starting with #130 the transom is built of a thick 3-layer mahogany plywood. Still the sides of the hull are planked in a traditional manner. Eight of the boats built during the year have the more powerful Chris Craft MCL engine installed. 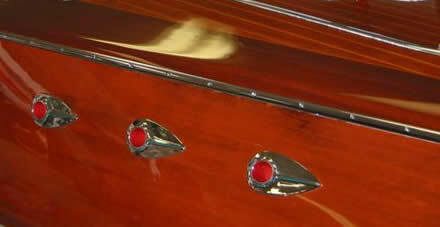 A total of 60 Ariston are built including eight of the Cadillac model. The CC MCL engine with dual carbs at 175 hp is now standard for the Ariston. Generally speaking Carlo Riva was always open to new technologies. The yard itself made a lot of development's in boat building technique. The goal was to retain the highest possible quality combined with rational series line production. This years big change is the introduction of the preformed three-ply (total of 12mm) mahogany sides from #171. The revolutionary technique to make "baked" preformed full size hull sides are developed by the yard and the tire manufacturer Pirelli together. The three layers consist of 4 mm mahogany strips placed on eacch other in different angles of 45, 135 and 90 degrees. All layers are positioned together with glue in a curved steel mould and then pressed together to correct shape by means of an upper inflatable rubber press. 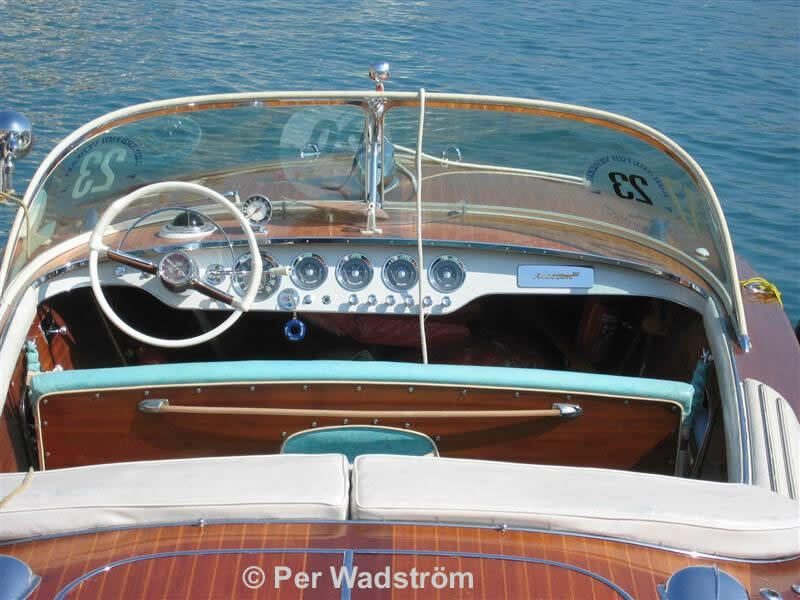 Boat #218 (last one in 1958) starts the new model year with a completely new design of the dashboard and a new steering wheel that originates from the Chrysler New Yorker 1958. Its center hub is specially manufactured with the Riva logo and a small propeller. 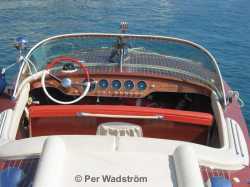 It's named "Calyx" and will be the standard steering wheel for all Riva models up to 1974 with only minor modifications. Depending on model and upholstery color the Calyx will be painted in different colors. A new line of instruments are now delivered to the yard directly from the manufacturer Stewart Warner. 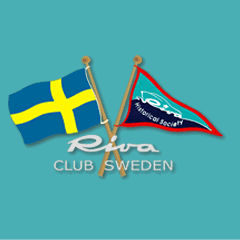 They are marked with the Riva logo instead of the former Chris Craft logo. Also the dash panel get a new design but is still covered on the front with the material Formica. 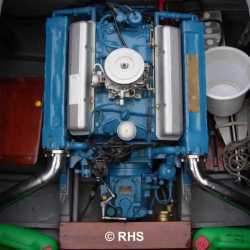 This year, some of the boats will be tested with more modern types of engines. 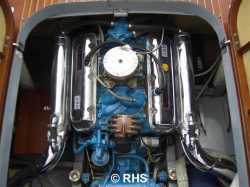 Six boats are fitted with Chris Craft 8V 283 engine with 185 HP and 8 boats get a Chrysler Sea-V M80 at 177 HP. Both engines are V8s with overhead valves. In conjunction with the engine change the reverse box lever moves up from the floor to the dashboard to the right of the steering wheel. From boat # 235 a brand new outfit with zebra stripes and light green border decoration is also introduced. Total production for the year ends up to 59 boats. All were Aristons as the production of the Cadillac model was ended in 1958. The first three Ariston built will still have the old 6-cyl. MCL engine but from #281 Carlo choose to use the Chrysler Sea-V M80 engine as the new standard for the model. To satisfy those who want even more performance the new model Super Ariston is introduced. It's powered by a Chris Craft 430 cui V8 at 275 hp and is made 5 cm longer than the standard Ariston to accommodate a slightly larger fuel tank. Ariston #296 is delivered to Sweden and the buyer is Ragnar Frunk, a well known hardware store owner and water ski enthusiast. 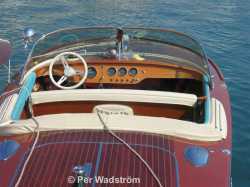 It's sold by the company NK Kristensson that in 1959 managed to become exclusive agent for Riva in Sweden. As for other Riva models, phillip screws, of the "Everdur" material, are introduced for the structure parts and bottom of the Ariston. This solves some earlier problems with broken screws. At least two boats (#307,308) has an upholstery in cream (ivory) rib with light green décor, just like the Tritone. Total production for the year is 60 boats including 5 Super. The Ariston is priced at $7350, half the price of a Tritone. Some improvements are introduced like a stainless steel fuel tank (previously brass plate) and the bottom angle amidships is slightly increased. Also the dashboard gets new buttons in ivory color with a chromed front plate. Probably most of the Aristones have a creme / light (pastel) green upholstery as the Tritones and the zebra upholstery becomes an option instead of standard. Total production sets a new record for the model with 70 boats built including 8 Super Ariston. 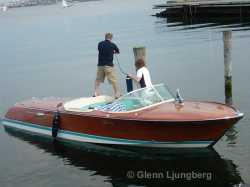 The first boat of the year, #408, is slightly exended to 6.50 m (boat sales reg.) and the bottom gets a new design with a slightly sharper V. According to other sources the standard Ariston is extended to 6.52m. Boat #469 of the Super model is extended to 6,67m. The Chrysler Sea-V M80 is still in use as the standard engine, although it has caused some problems since it was introduced. The last boat for the year is #477 and a total of 70 Ariston are built including nine Super Ariston. 68 Aristons, including 14 Supers, is built this year. The big change for the model is the introduction of new engines. 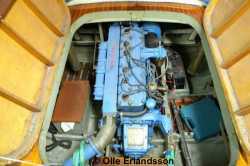 Only 30 get the earlier Chrysler Sea-V engine and from #522 all standard Ariston will have the Chris Craft 8V 283 V8 engine (185 hp) as standard. Also the Super model gets a new engine this year. As for the last built Super Tritones and the new Super Aquarama, the "big block" choice is the Chrysler 413d "Golden Lion" delivering 290 Hp. 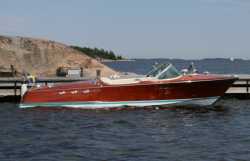 Ariston #543 is delivered to the Riva agent in Stockholm, NK Kristensson. The name of the Swedish buyer is unknown. 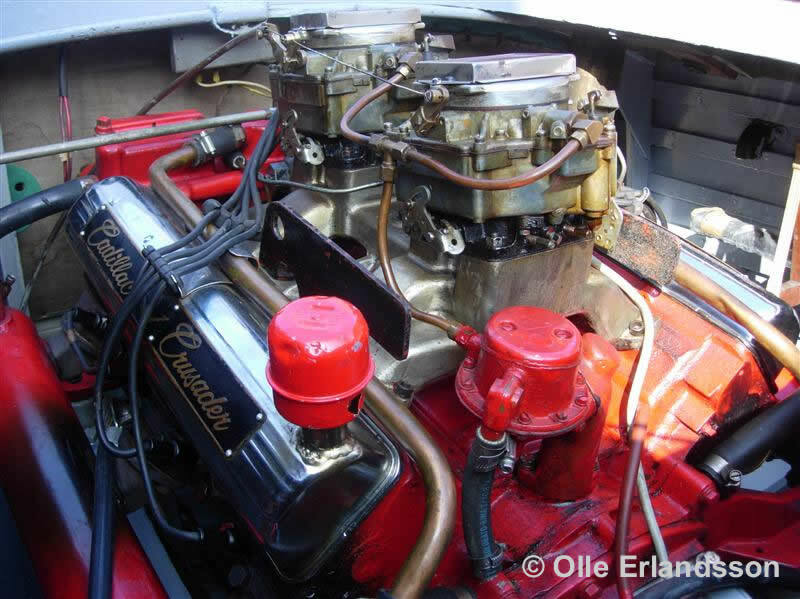 Super Ariston #510 is recently restored by its present Swedish owner living in Stockholm. The boat have been in Sweden for a number of years. Many new features are introduced including an updated dashboard that's now covered with Honduras Mahogany instead of the previously used plastic material "Formica". 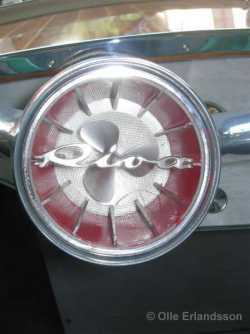 The shape of the dashboard is also changed with a softly rounded edge above the steering wheel like the Aquarama model. Also the new Riva specified instruments from VDO are introduced on the new dashboard. The panel sides of the cockpit has a new design with side pockets covered by a mahogany piece instead of the earlier chromed net. The bow rake is increased and the Ariston grows 8cm to 6.60m. Also the Super is changed in the same way and is now 6.75m long. 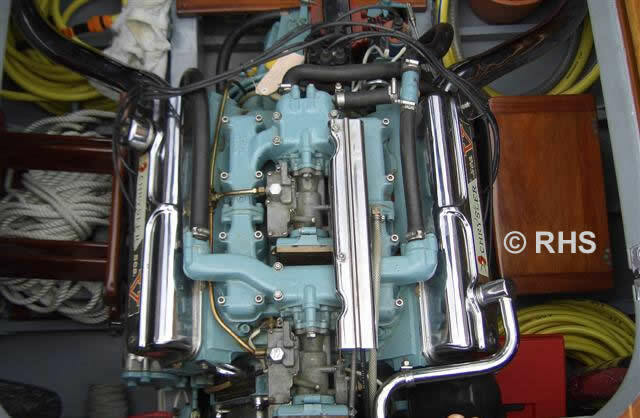 The three engine ventilators on the hull side, having been the same since the 50's, are changed to the new ones that came with the introduction of the Aquarama model. 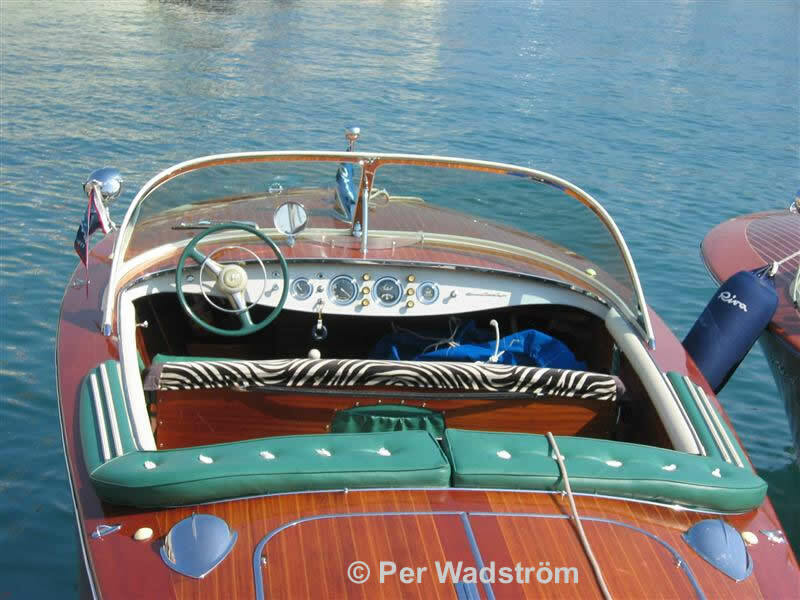 Ariston #595 is now in Finland, owned by a Riva Club Sweden member, and in good condition. The owner is a good example for others in the way he keep his Ariston on a modified trailer to make it possible to travel around and take part in meetings all around Europe. Only significant change this year is the test of a new engine in the Ariston #682. It's equipped with a V8 from Crusader of 220 Hp that later will become the new Riva 220 engine. A notification in the sales registers says that all Super Ariston from #716 that year has an upholstery in "blue". Production ends at 88 Ariston including 16 Supers, thus a new record for the model. The production decreases and only 37 boats are built, most of them Supers (26). 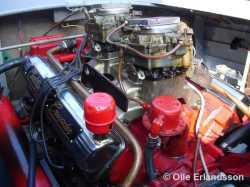 From the start of the year the former used Chrysler engine is replaced by the Crusader 320 engine for the Super model. The standard Ariston will have the older Chris Craft 283 engine installed in eight boats while the rest gets the new Crusader 220. Big changes are made to the hull which is now extended another 20 cm to 6.80 m in order to obtain an even more inclined bow. 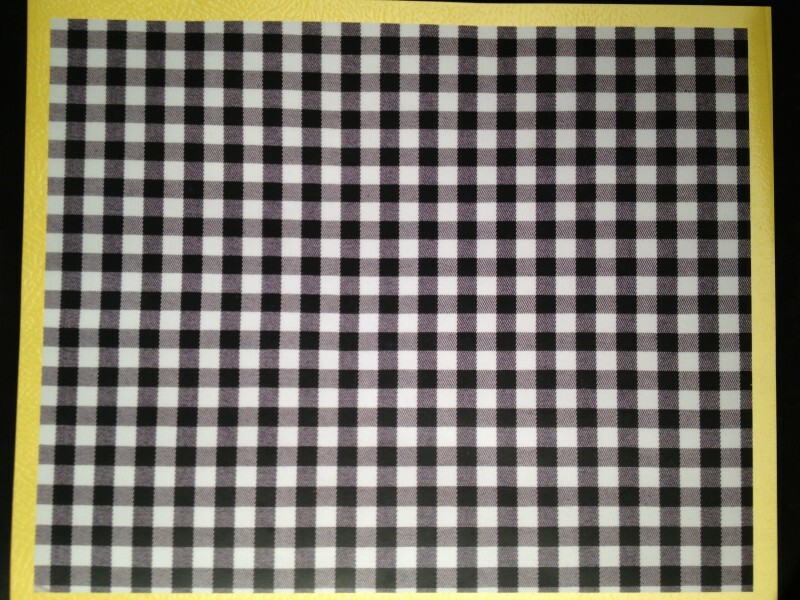 The bottom is changed as well and get a sharper V all the way. By today's standard it's a very moderate V-hull with an angle at the transom of only 5.5 degrees. 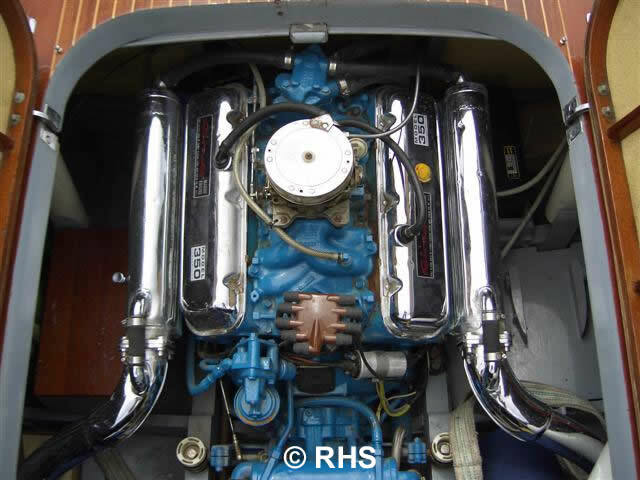 The engines Carlo started buying from Crusader is now renamed to Riva 220 and Riva 320. 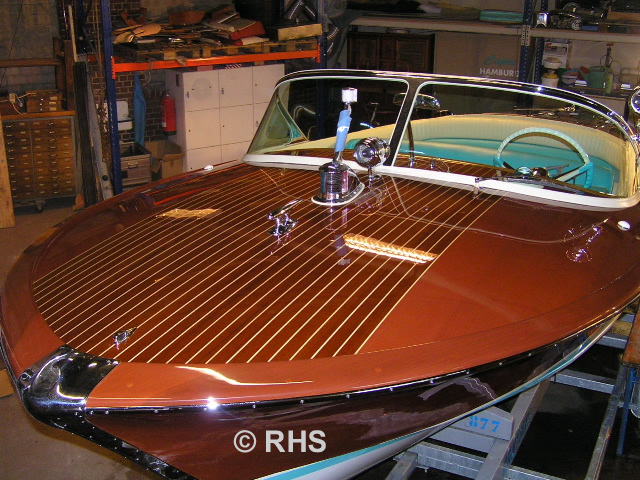 They have been modified to Riva specifications and are now unique versions only for the Riva boats. 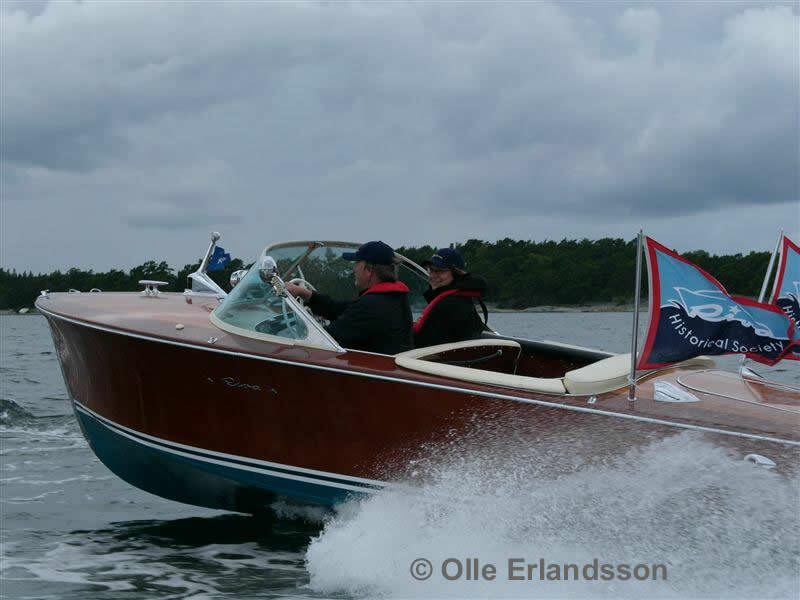 This year production makes a total of 39 boats including only two Super Ariston. The Super share the same hull as the standard Ariston this year. From Ariston #835 a new design is introduced for the for- and aft deck. The ribbed part in the middle is narrower and the fore deck gets the same rounded rim at the sides as on the Aquarama, thus significantly reducing the risk of slipping overboard. From the first boat built this year (Super #822) a new color scheme is introduced. 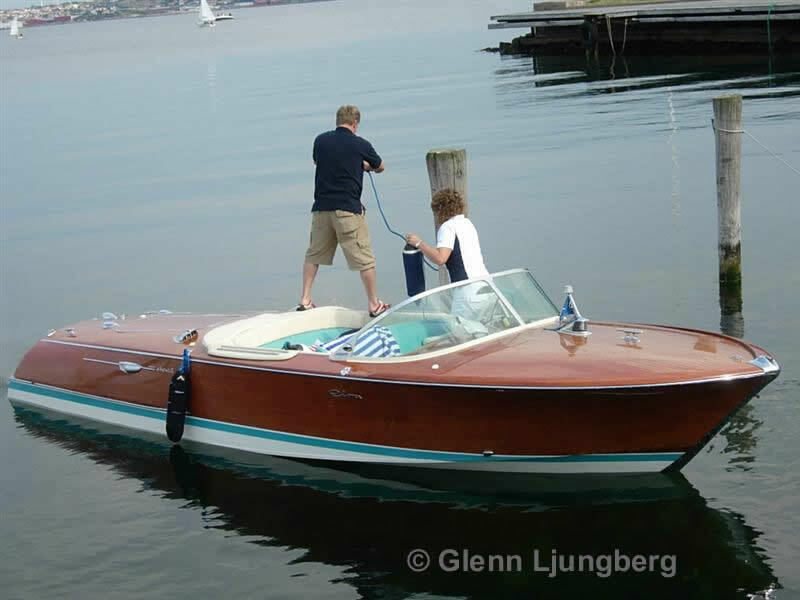 As for the Aqurama all standard boats will have an upholstery in ribbed creme with turquoise decor while Super model is dressed in creme and Lobster color. During the year a total of 52 Ariston are built, including 13 Supers. 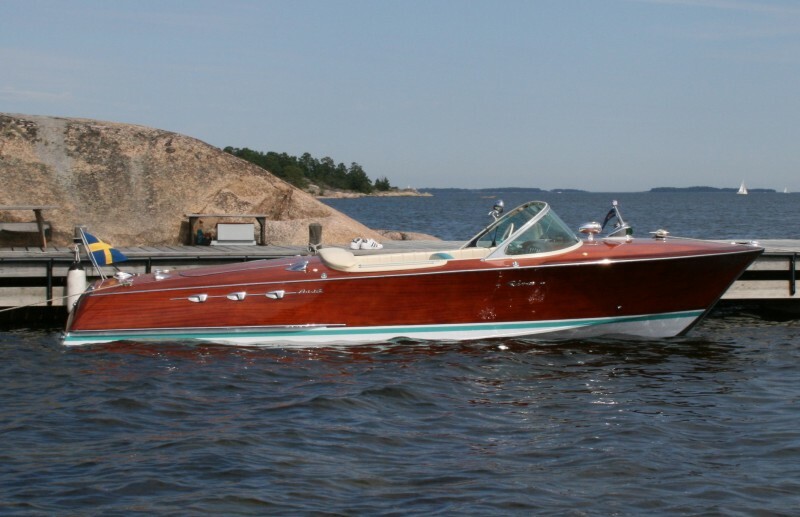 Ariston #848, owned by a board member of the Swedish Riva club, have recently been restored (during 7 years!) to an astonishing condition and was launched for the first time in many years this summer in 2012. 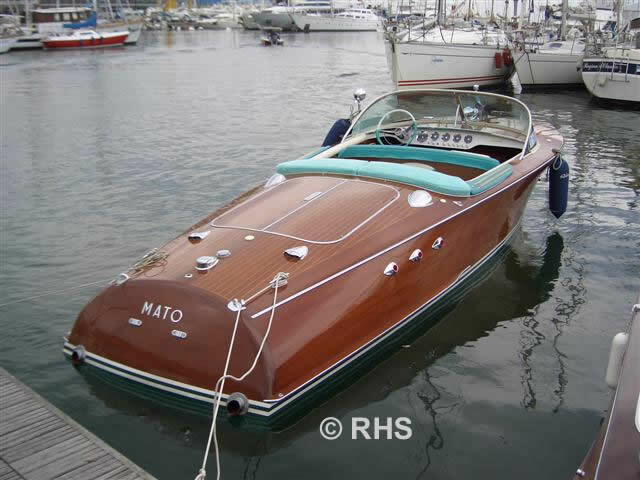 After problems with the worker unions during 1969 Carlo sells the Riva shipyard to Whittaker corp. in Los Angeles, USA. He remains as president for a few years but doesn't have the same impact of the progress of the yard as when he owned it. The model Ariston continues to be produced, but in diminishing numbers, and no real development takes place. 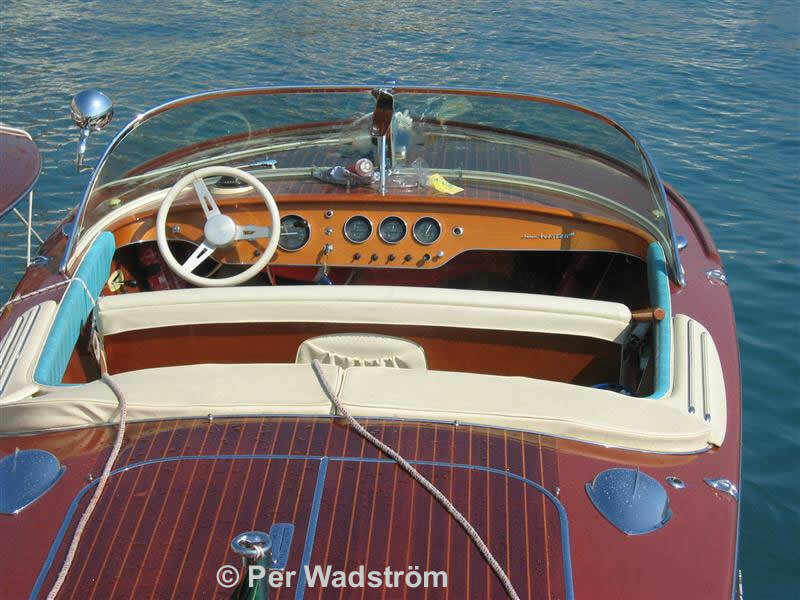 The last standard Ariston is built in 1971, although the very last boat (# 979) will be moved to the 1972 sales. From # 980 only the Super model is built. In order to simplify the production the instruments are changed to the same type as for the fibre glass boats that have been introduced in 1970. 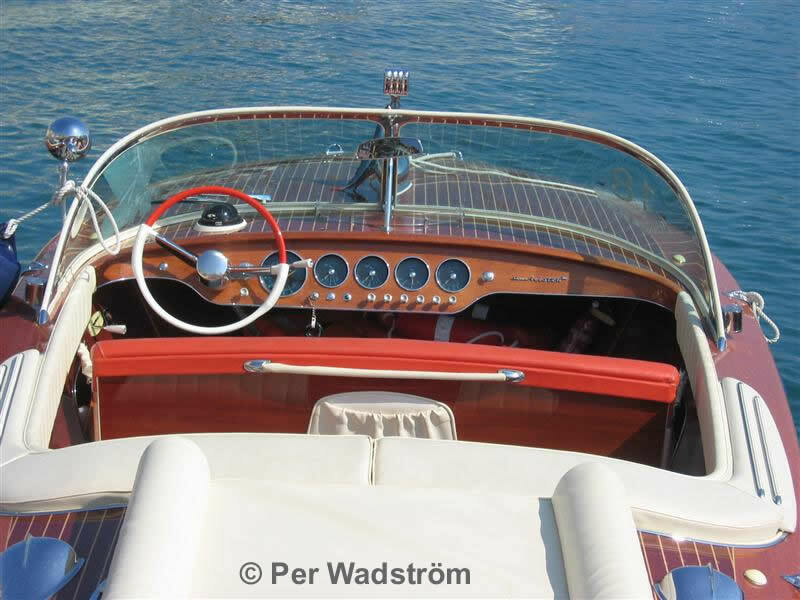 Even the steering wheel is simplified and the traditional center piece with the Riva logo and propeller is replaced by a simpler version of Chrome with only "Riva" on. The hull sides get the new and bigger engine ventilators, now only one at each side. 1974 is the last year for the Super Ariston. The length is now 6.95 m and the engine used is the Riva 350 (350 Hp) from Crusader. The last boat built has number 1012, but the total Aristons built is 1004 because some numbers, by different reasons, were skipped. Ariston #26, 1953. Restored by Macatawa Bay Boat Works. Ariston #595, 1964 "Malou II". In Finland since 2011. Ariston #848, 1968. Recently restored in Sweden.